Art has long been a way to channel feelings and bring about emotional healing. Many artists find a time of stress and grief to be a productive time creatively, channeling their emotions into powerful images of universal human suffering. They are able to turn disturbing images of war, starvation, illness, and trauma into poignant and even beautiful paintings that resonate in the soul for a lifetime, making the viewer more sensitive and more engaged with fellow beings and the world. 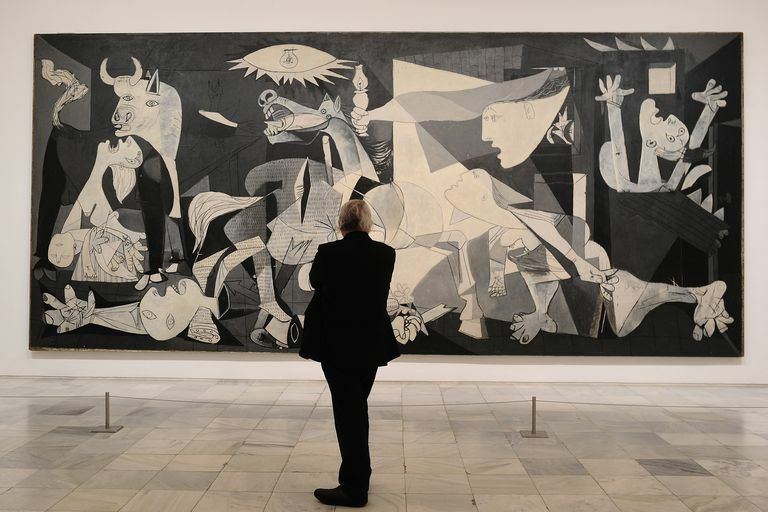 One such example of a painting known worldwide for its expression of suffering and destruction is Pablo Picasso's Guernica painting, in which Picasso channeled the grief and anger he felt over the random bombing and virtual obliteration by the Nazis in 1937 of a small Spanish village. This painting so affected people worldwide that it has become one of the most powerful anti-war paintings in history. Other painters have painted portraits of people who they have loved and lost. The Dutch painter Rembrandt van Rijn (1606-1669) was one who endured much loss. According to Ginger Levit in "Rembrandt: Painter of Grief and Joy,"
It was the best of times in 17th-century Holland—known as the Dutch Golden Age. The economy was thriving and wealthy merchants were building townhouse mansions along the Amsterdam canals, installing luxurious furniture and paintings. But for Rembrandt van Rijn (1606-1669), it became the worst of times—his beautiful, beloved, young wife Saskia died at age 30, as well as their three infants. Only his son Titus, who later became his dealer, survived. After that, Rembrandt continued to lose people he loved. The plague of 1663 took his beloved mistress, and then Titus, too, was taken by a plague at the young age of 27 in 1668. Rembrandt, himself, died only a year later. During this dark time in his life, Rembrandt continued to paint what was most personal to him, not conforming to expectations of the day, channeling his suffering and grief into powerful and evocative paintings. According to Neil Strauss in his New York Times' article "The Expression of Grief and the Power of Art,"
In the art of Rembrandt, grief is secular and spiritual emotion. In the dozens of self-portraits he painted over nearly half a century, sadness develops like an ache of suppressed tears. For this man, who lost the people he loved most, mourning wasn't an event; it was a state of mind, always there, shifting forward, retreating, always growing, like the shadows that move across the artist's aging face. He goes on to say that for centuries Western art has depicted the human emotion of sorrow, ranging from the vase paintings of Classical Greece to religious paintings of Christianity, "which has tragedy at its very core." At Eternity's Gate (1890), by Vincent Van Gogh, completed two months before his own death by suicide. The Death of Marat (1793), by French painter Jacques-Louis David, based on the murder of his friend during the French Revolution while bathing. A Burial at Ornans (1849-50), by Gustave Courbet, depicting the burial of Courbet's great-uncle. Ophelia (1851-52), by John Everett Millais, depicting the character Ophelia's suicide by drowning in Shakespeare's Hamlet. The Sick Child (1907), based on the death of Munch's sister, also from tuberculosis. The Scream (1893), a painting which captures the nature of existential angst. Also watch the poignant video, "Grief," from the Metropolitan Museum of Art, in which Andrea Bayer, Curator of European Art, leads you through paintings and other art about grief and loss as she deals with and talks about her personal response to the recent deaths of her own parents. 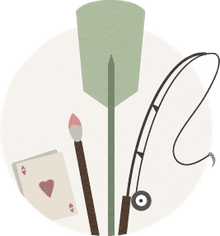 Art has the power to bring about healing by communicating personal emotions of suffering, loss, and grief and transforming them into something of beauty that represents a universal human condition. According to the world-renowned Vietnamese Buddhist Monk "Thich Nhat Hanh,"
Suffering is not enough. Life is both dreadful and wonderful...How can I smile when I am filled with so much sorrow? It is natural --you need to smile to your sorrow because you are more than your sorrow.